The Royal Tay Yacht Club has a long and illustrious history. 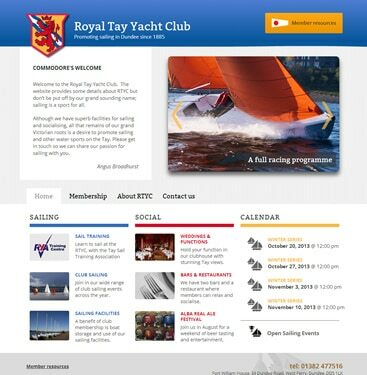 They had an existing website based on Joomla but it was running using a free theme and the RTYC committee felt it lacked something both in terms of structure & presentation. We were engaged to create a new look – something clean & friendly that would be part of a drive to recruit new members. Additionally, the website is one of the primary communication channels the club uses to communicate with it’s members. 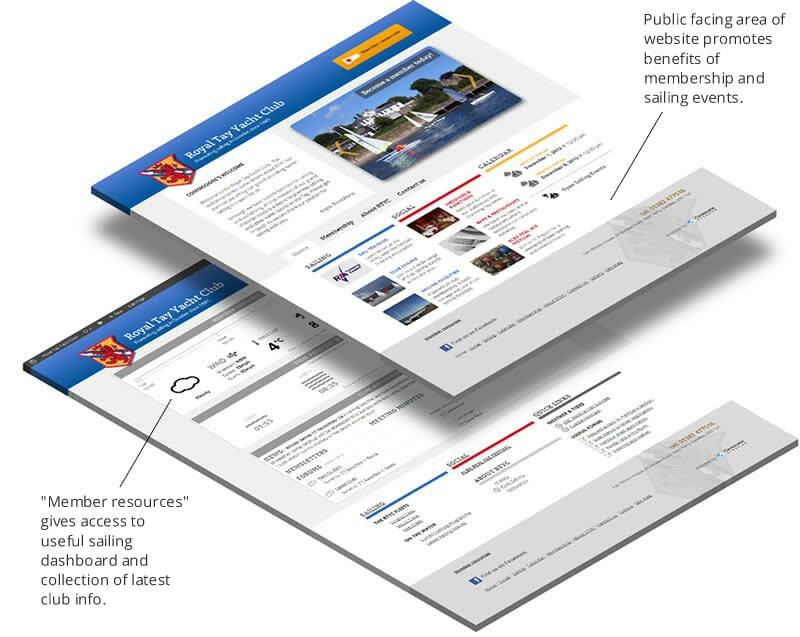 The first phase dealt with the “public face” of the club website and was part of a campaign to raise the profile of the RTYC and attract new members. This was delivered to a tight schedule that was dictated by a number of pre-arranged summer events the RTYC were attending. Existing content was restructured, with gaps filled by RTYC committee members and the content was used in a colourful, modern design intended to dispel any notions of the club being unapproachable by novices due to it’s Royal designation. In addition to the website, we created a range of business cards for distribution to potential members and a pop up stand for use at exhibitions. Sailing “dashboard” comprised of custom widgets for weather and tides. Members area with some restricted access areas. Forums – bbPress introduced to give private members forums. Online forms – common club forms available to complete online. Delegated authorship – club officials can be granted edit access to a small subset of the site. The whole website was built using responsive web design techniques, so it looks great on desktops, laptops, tablets and mobile phones.